From day one, we have strived to translate performance into speed – and success – in the most intelligent way possible. It's no longer all about horsepower, but more ideas per horsepower. This principle originates on the race track and is embodied in every single one of our cars. We call it "Intelligent Performance". In the 2018/2019 season, Porsche again sends its factory Porsche GT Team to contest the GTE-Pro class of the FIA World Endurance Championship (WEC). In the #91 Porsche 911 RSR, Gianmaria Bruni and Richard Lietz fight for the world championship, with Michael Christensen and Kévin Estre manning the #92 vehicle. In the GTE-Am class, a number of customer teams have applied for a starting spot with the 2017-spec 911 RSR. In total, Porsche has sold seven 911 RSR to customers for the WEC, the 24 Hours of Le Mans and the European Le Mans Series. One of the most successful driver pairings in the IMSA WeatherTech Championship join forces again in 2018: Like in their 2015 championship winning year, Nick Tandy and Patrick Pilet share the cockpit of the 911 RSR with the starting number 911. In the #912 sister car, the two-time Le Mans overall winner Earl Bamber and the Intercontinental GT Challenge and Blancpain Series champion, Laurens Vanthoor, form a world-class driver duo. At each round of the Intercontinental GT Challenge, Porsche lends its support to at least one local team in their 911 GT3 R pro-class campaign. The works driver trio Dirk Werner, Romain Dumas and Frédéric Makowiecki will contest all races and fight for the drivers’ championship. In the Blancpain GT Series Endurance Cup, the three also share the cockpit of a 911 GT3 R. This will be fielded at all races by Manthey Racing. In many other international and national GT series such as the European Le Mans Series, the Pirelli World Challenge, the Japanese Super GT series, the IMSA WeatherTech Championship (GTD class) and the Nürburgring Long Distance Championship, Porsche supports customer teams with engineers and drivers. The reigning FIA WEC world champion and Le Mans winner Timo Bernhard makes his comeback into GT racing in the 2018 season. Joining forces with Kévin Estre, the owner of the racing team will contest the ADAC GT Masters with his own Team 75 Bernhard. Nine Porsche 911 GT3 R are expected to line up at the Nürburgring to contest the ADAC 24-hour race. Five vehicles will be fielded by customer teams in the pro class, with four in the amateur class. Manthey Racing campaigns two vehicles manned by factory drivers: Sharing driving duties in the #911 Porsche 911 GT3 R are Earl Bamber, Laurens Vanthoor, Kévin Estre and Patrick Pilet. Taking up the race in the #912 car are Romain Dumas, Richard Lietz, Frédéric Makowiecki and Nick Tandy. A total of 13 Porsche works drivers and four Young Professionals will tackle the Eifel marathon on 12/13 May. The Porsche Mobil 1 Supercup has run exclusively as support to the Formula 1 races since 1993. The Porsche Mobil 1 Supercup offers drivers and teams professional international motorsport at reasonable costs. Long-term planning and stable sporting and technical regulations ensure consistency. More about races and results. The Porsche Carrera Cup Deutschland is one of the most tradition-steeped single-make series in the world. For the first time, most of the Porsche Carrera Cup Deutschland races will be contested as support to the ADAC GT Masters. WeatherTech Championship each field two GT racers from Weissach. The 911 RSR is an all-out newly developed GT racer that makes full use of the breadth of the regulations. For more information and technical data click here. Motorsport: Porsche juniors will receive comprehensive support from Porsche. 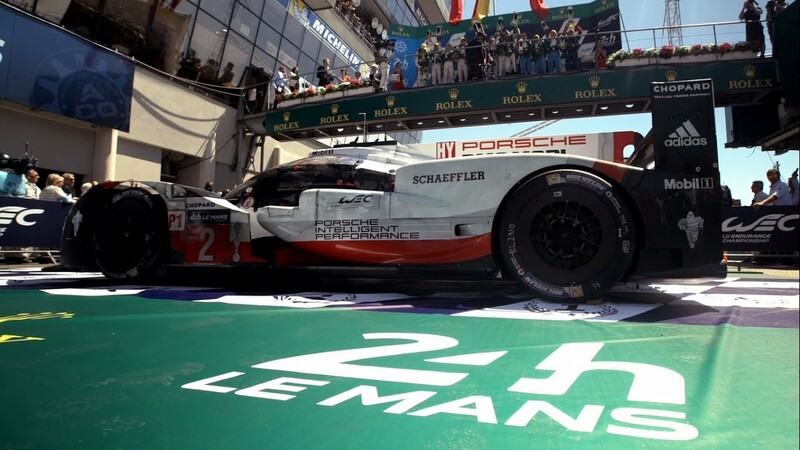 Porsche heads into the 2014 season with the most extensive racing programme ever.